Good news, world! Shakira is releasing a brand new album in 2014, so you better mark those calendars. The singer announced the news via Twitter on Monday. While some us are barely coping with the fact that the week is not even halfway done, others are actually accomplishing things. Shakira dropped a brand new single — “Can’t Remember to Forget You” — on Monday, featuring the musical talents of Rihanna, and has now announced the release date of her upcoming studio album. It’s not even Wednesday yet! Slow down! Mark them calendars, people! This will be the first English-language album Shakira has released since 2009’s She Wolf. The 36-year-old did release a Spanish-language record, Sale el Sol, in 2010. And like most sensible people, we would obviously like to review some of our favourite Shakira music videos… Because it’s Tuesday and we can. Don’t be afraid to get your dance on! OK, so this video features Shakira and Beyoncé… Even if they were just standing in front of a green screen, staring blankly into the camera, it would be an amazing music video. Luckily they also dance, slither and stand in high winds with curtains fluttering about them. That’s how we hang out with our friends too, duh. 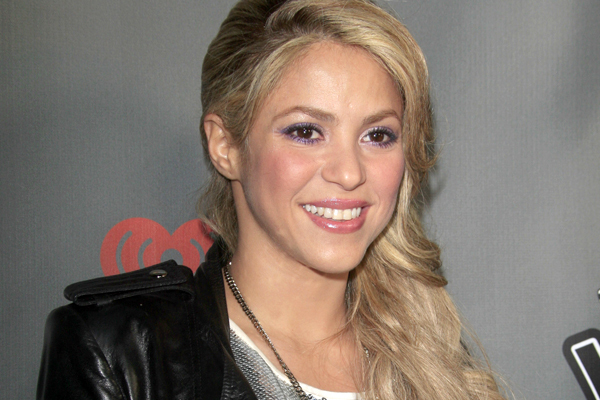 Sure, it’s in Spanish, but who listens to Shakira’s songs for their lyrics? This tune is catchy and is accompanied by a great music video. We have loads of dancing covered in car oil (or the like), a neighbour spying on a half-naked neighbour, some table-slinking action… What else do you need? This was probably the music video that introduced Shakira to the English-speaking world, and boy, are we glad. The singer shows off her wonderful dancing skills and gorgeous curly hair with a great song as an accompaniment. We’ve been jealous of her ever since. Yes! Loads of dancing in this one, and the song is great. Plus, Wyclef Jean is in this music video too, and who doesn’t adore him? This music video makes us want to put on our old leg warmers and attempt to learn the dance routine, just because it’s that good. Definitely Shakira’s best music video ever. Which one is your personal favourite?